In the reality show dictionary, the word "shame" comes with a new definition: "defunct anachronism, now generally replaced by ratings". That’s the only conclusion we can draw from the decision to continue with a South African exploitation, sorry, reality show featuring the late Reeva Steenkamp, the model found shot dead at the Praetoria home of athlete Oscar Pistorius. All South Africa is gripped by the murder trial that is their equivalent of the OJ Simpson case, except that the accused athlete in question is arguably the country’s most famous sportsman rather than a washed-up ex-pro turned jobbing actor. The victim and her family seem to have been sidelined in the frenzy. 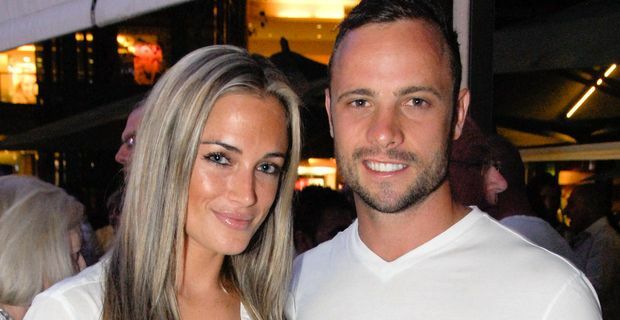 Steenkamp was among the celebrities who had recorded the fifth series of the reality show Tropika Island of Treasure, where they undergo challenges like living in an ultra-luxury villa in Jamaica for ten weeks. For the producers the choice was to respectfully cancel, or at least postpone, the broadcast out of consideration for Steenkamp’s family, or press ahead and grab the considerable ghoul audience. No choice really. The show must go on. "This week's episode will be dedicated to Reeva's memory," the statement issued by the show’s producers read. Oh, well that’s OK then, especially as they are ensuring another ratings bump with a hastily-compiled tribute to Steenkamp to be broadcast before the reality show. Executive producer Samantha Moon expanded on the statement: "As we grieve today with Reeva's family and friends and struggle to make sense of this shocking tragedy, it has taken much deliberation to come to the decision to continue screening Tropika Island of Treasure 5 as planned." Deliberation that surely must have included someone thinking, if not voicing, the notion that their tawdry show will never have another opportunity like this to grab the nation’s attention.